A classic symbol of "good will". What more can be said except "Everything is going to be OK". One piece construction of stylised cloud and rain ... two amazing elements bundled together for greater portability. In classical times a laurel was a mark of honor. Standards have slipped. Now you can be your own critic and award your own prize to anyone. Look into the side view of this re-designed Braincase and see your own head ...It all begins here. This piece is especially exclusive due to its fiddly construction. You can become a life member of your own private club object and give it KNOWING WINKS. Imagine yourself in the land of the Giants ... This will be much easier with miniature Pine trees in your scene, feel the power. Two varieties Straight or Toppled. This could happen for many reasons , toppled Pine literally freezes time before the fall. It may at first appear to be a simple object but it is definitely a case of "still waters running deep". A litte destruction is inevitable and after a storm you will often see lost dogs and broken trees. 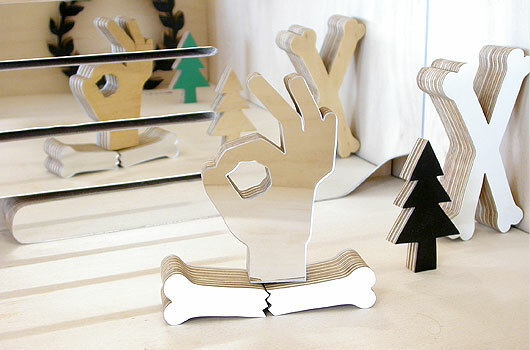 If someone in your life says to you 'throw me a bone' this object could be ideal. Often things on 'the inside' break ... Hearts minds and bones.